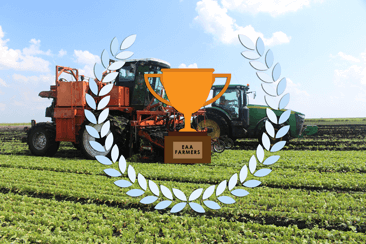 The South Florida Water Management District (SFWMD) has announced that farmers in the Everglades Agricultural Area (EAA) achieved another year of water-quality improvement. Farmers have collectively reduced phosphorous levels in the EAA basin by 70 percent in the past year. This reduction is three times the 25 percent reduction goal set by the state. It continues the trend in which farmers have reduced phosphorous levels by an average of 56 percent annually over the past 23 years. Farmers are using innovative and high-tech farming solutions known as Best Management Practices or BMPs. The BMP program, overseen by the SFWMD and Florida Department of Environmental Protection, has helped ensure 100 percent of water in Everglades National Park and more than 90 percent of water in the approximately 2.4 million acres of the rest of the Everglades Protection Area is meeting the stringent 10 parts per billion standard for phosphorous.